Learn how social selling gives sales reps plenty to be thankful for in their careers this Thanksgiving. As Thanksgiving is around the corner, it’s time to come together with family and friends to celebrate everything for which we are thankful. 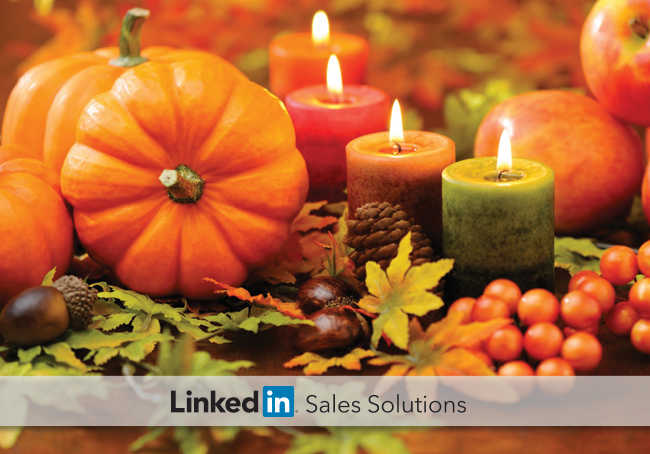 At LinkedIn, we are giving thanks for the positive outcomes sales professionals are experiencing through social selling. Here are ten SlideShare presentations that showcase what we have to be thankful for and to provide inspiration for success in the coming year. This SlideShare, which we first posted earlier this year, can serve as reminder that while adopting social selling may seem overwhelming at first, we can be thankful for the greater success it will bring over time. LinkedIn’s Jason Miller and TOPO CEO and co-founder Craig Rosenberg overview how to drive ROI from Social, as part of an integrated approach all while giving us a good laugh. Cats and bacon, anyone? Every once in a while it’s good to get back to the basics. 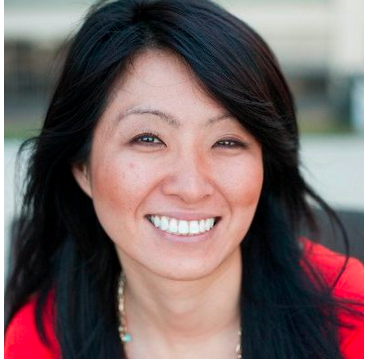 LinkedIn’s Alex Hisaka provides a great overview of the fundamentals of social selling in this presentation. Adopting social selling is essential for success in today’s sales climate, but it has to be a team effort. This presentation offers advice on how to transition entire sales teams to social selling. Advice from people at the top of their field is worth its weight in gold. We posted this SlideShare presentation earlier in the year, but it is so spectacular we are sharing it again. You are the CEO of ME, Inc.
Time management is an essential skill for sales reps and one we can all stand to improve on. Learn how to maximize your efficiency so you can work smarter, not harder. The ability to adapt is essential in any business. This presentation provides a process for sales managers to introduce a social selling strategy to their team with optimal adoption and sales results. Social selling can help you reach professionals at stage in the buying cycle. Andrew Grill, Global Partner at IBM, shares how to invest your time in social media and increase your sales effectiveness. When you need a reminder of what you’re trying to do in your social selling career, look no further than these 50 quotes. It is not simply about driving sales, but about making a difference to your buyers by providing value and insights they can only get from you. Social selling has had a huge impact on how sales reps reach out to prospects, grow, and maintain relationships. At this time of the year, when everyone is reflecting on all the good in their lives, social selling is certainly something sales reps can be thankful for.